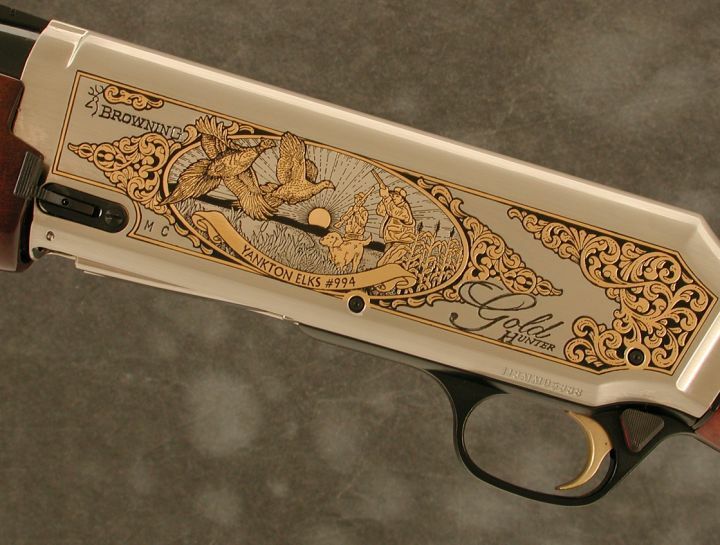 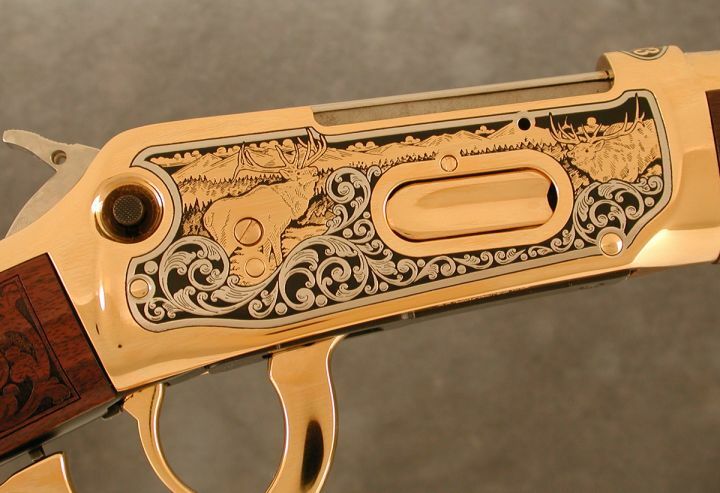 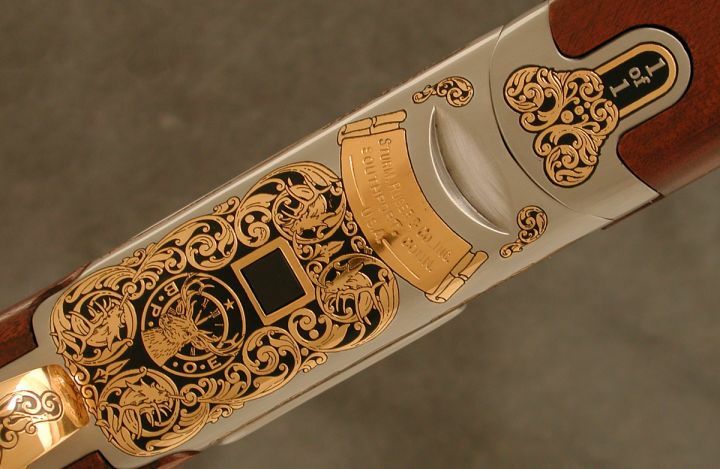 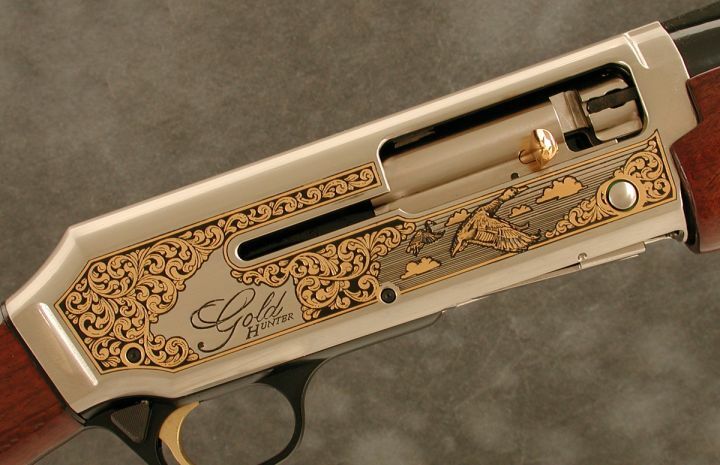 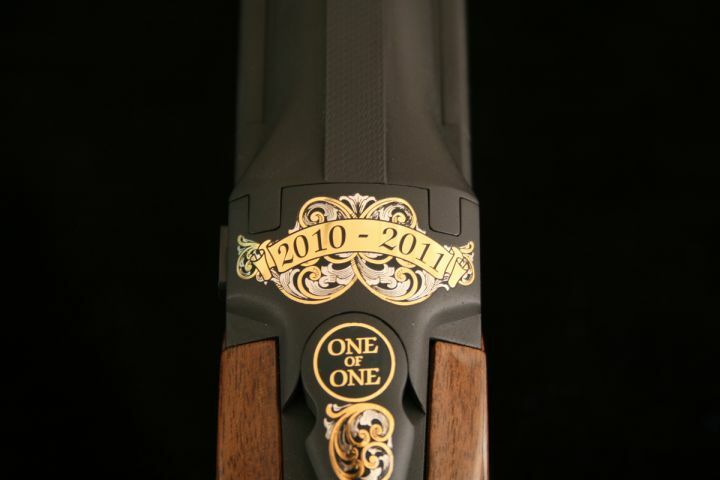 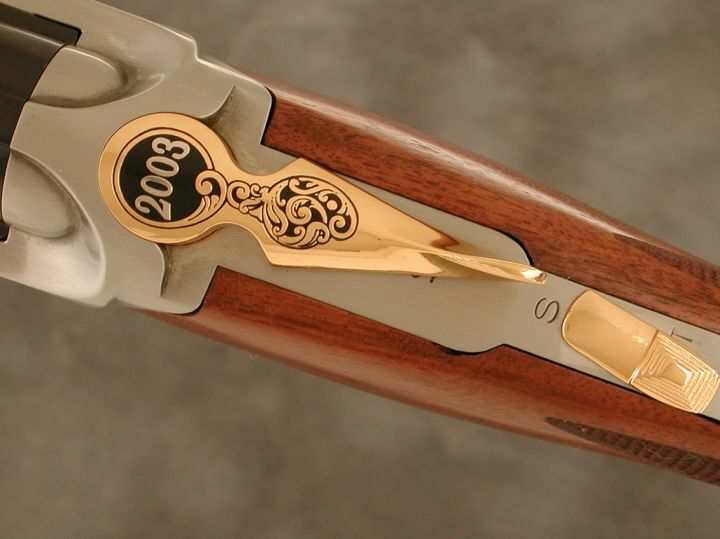 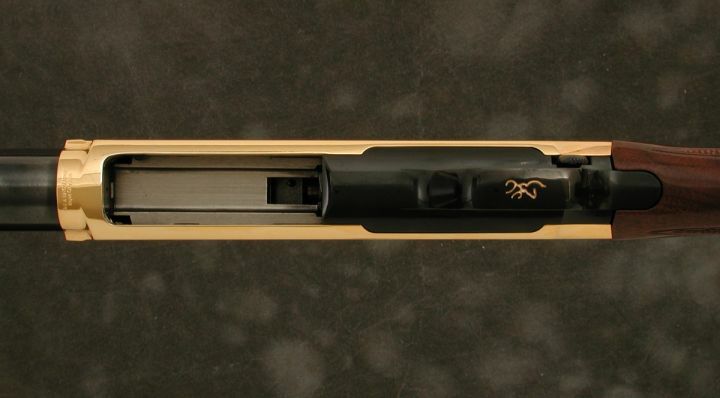 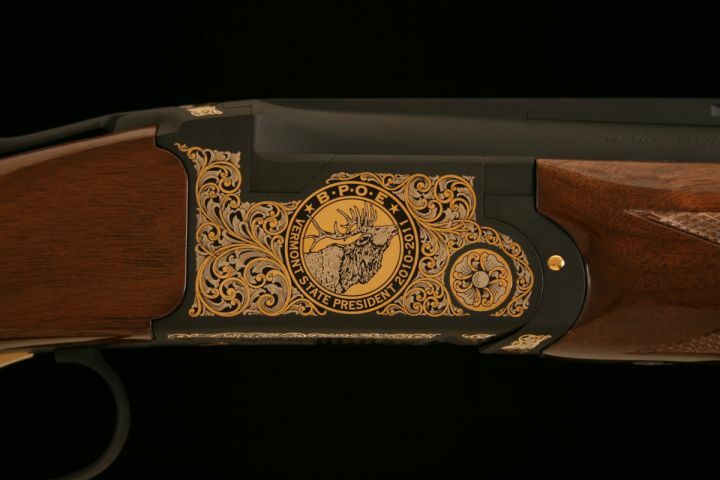 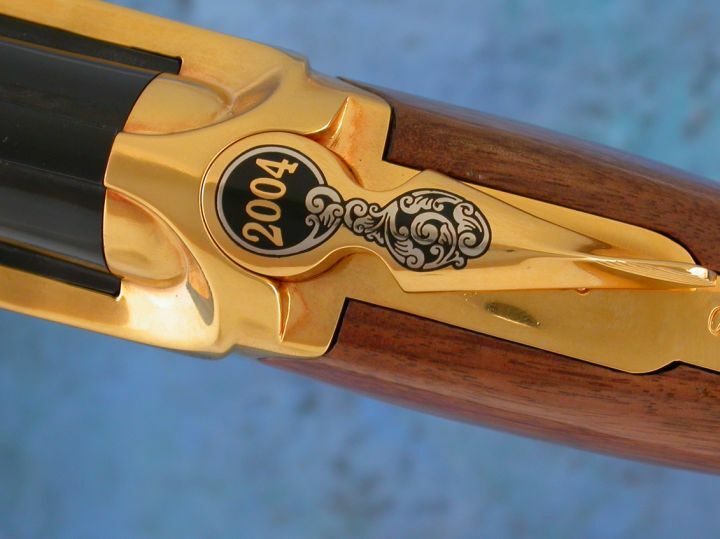 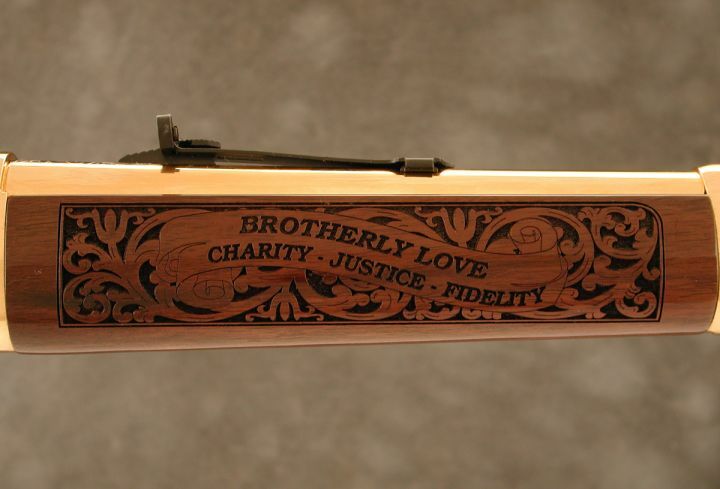 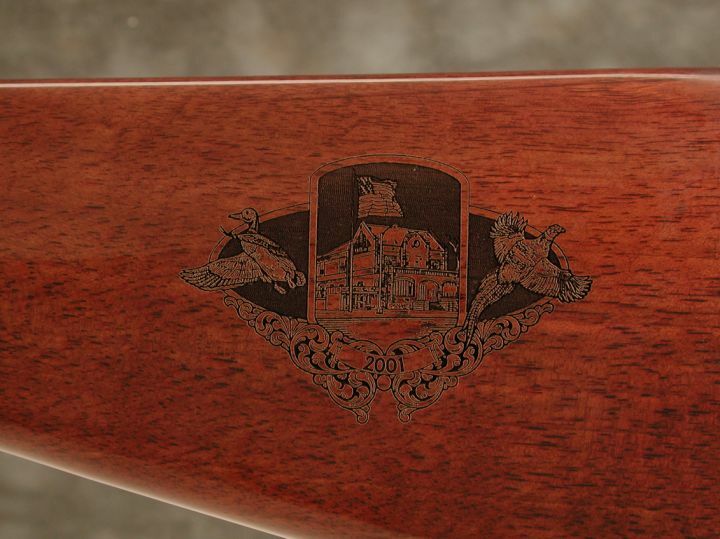 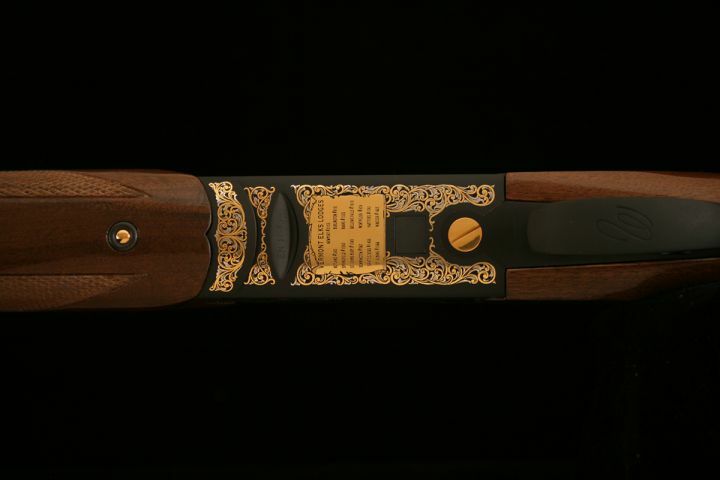 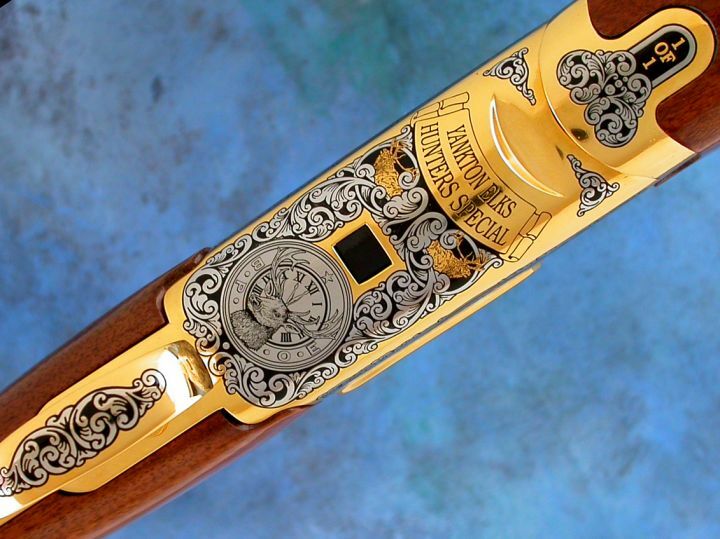 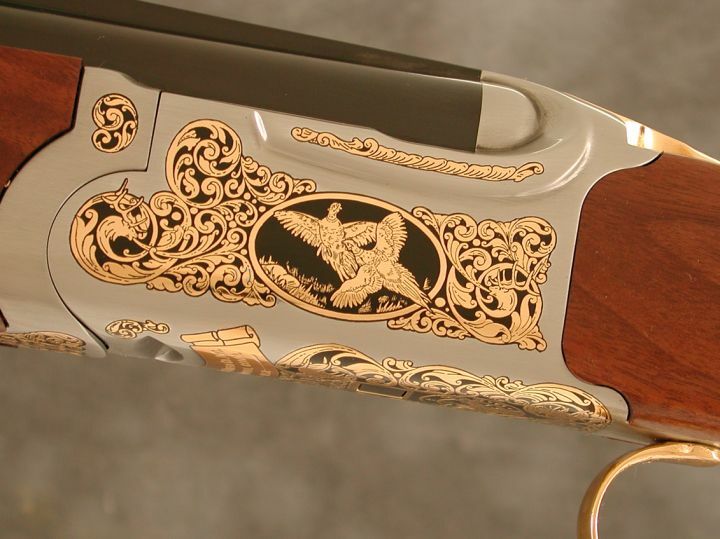 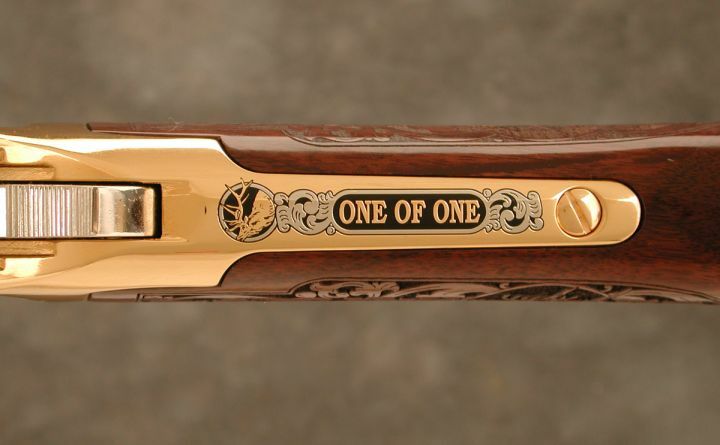 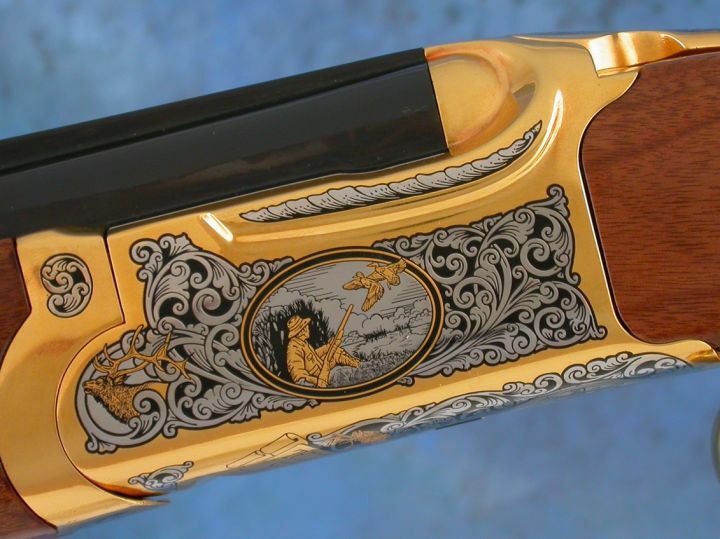 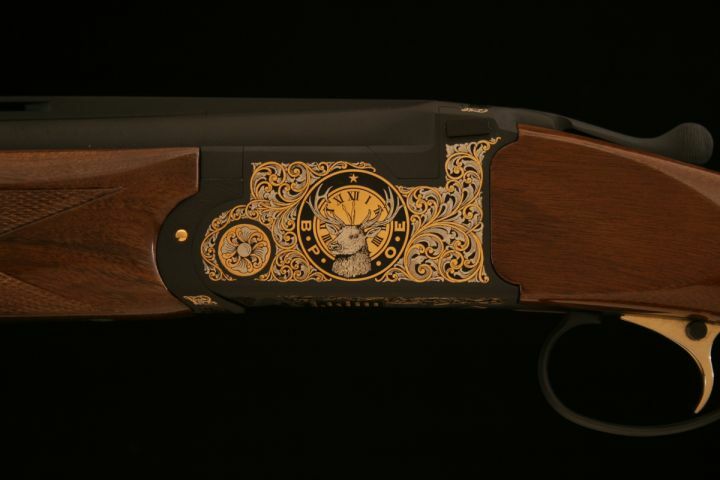 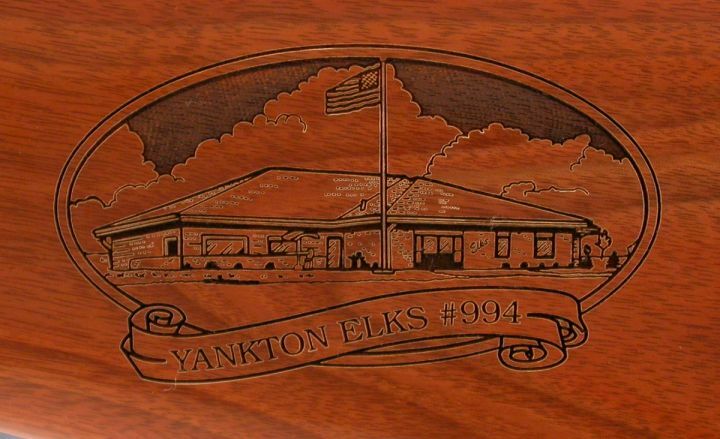 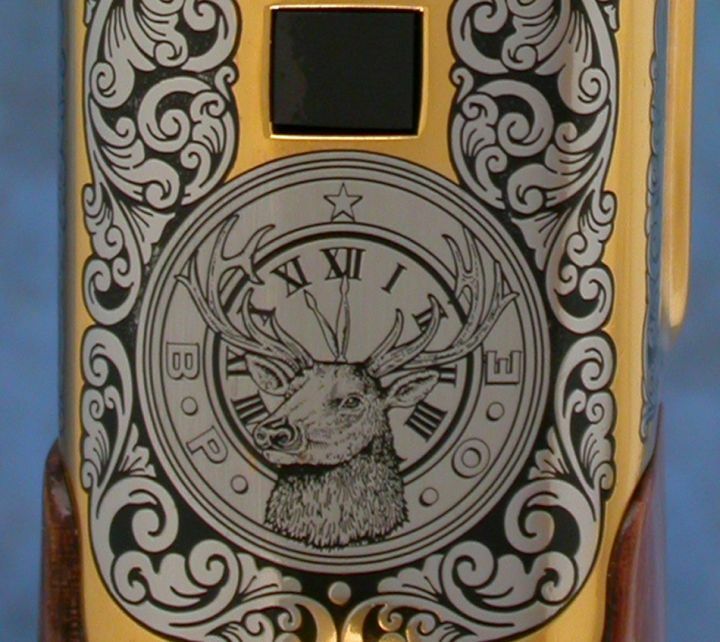 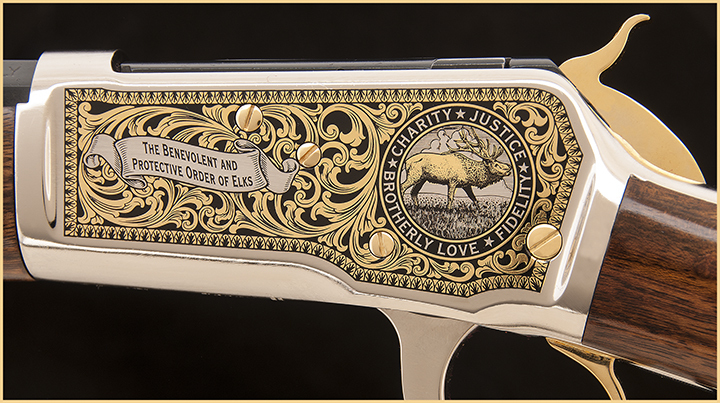 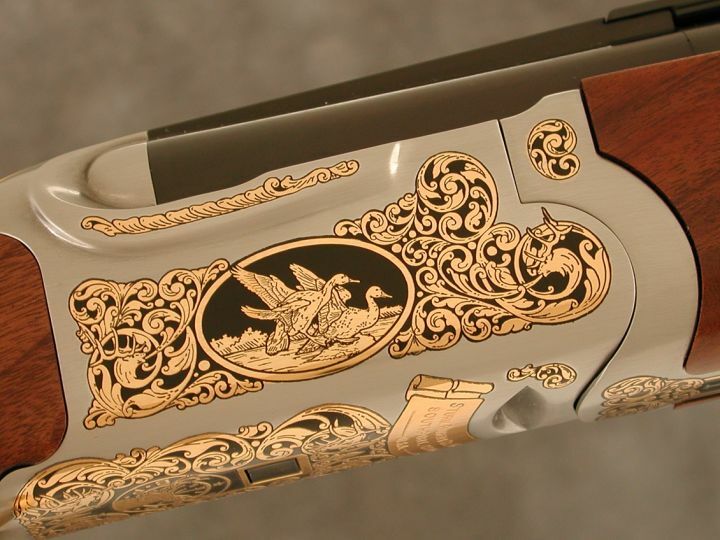 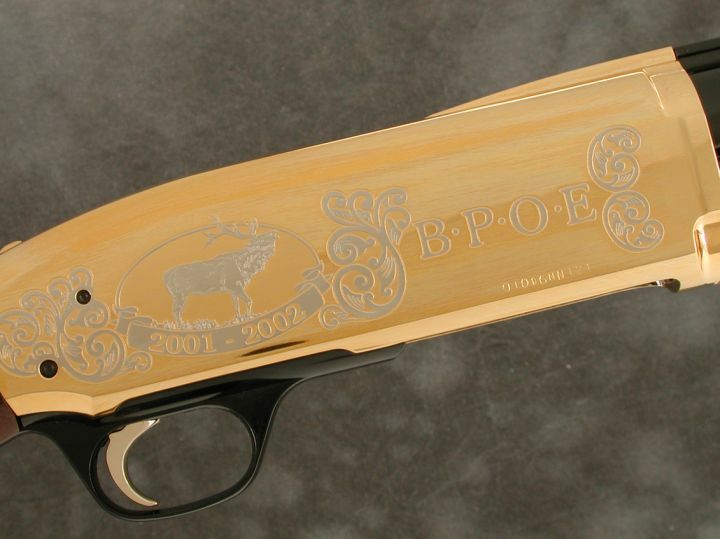 ELKS (BPOE) Benevolent and Protective Order of Elks Firearms | Associations & Foundations | More | Inventory | A&A Engraving, Inc.
Gorgeous One of One Weatherby shotgun commissioned by Vermont Elks Lodges in 2010. 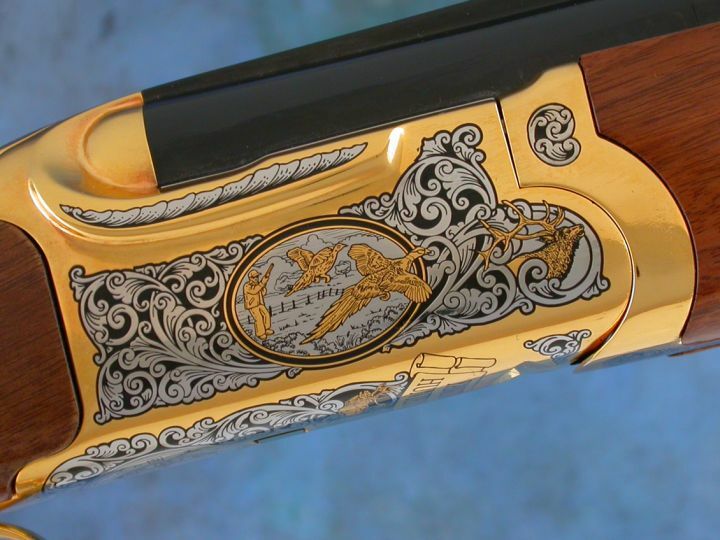 Finish: High polish blue with 24k gold and bright nickel highlights, blue barrels, hand-finished stocks. 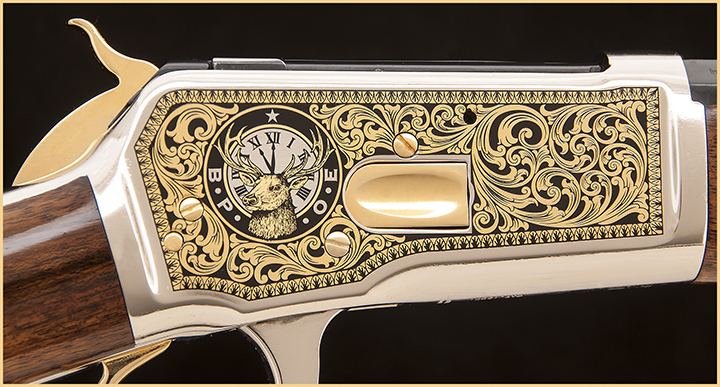 Finish: 24K Gold Base with Bright Nickel Highlights, Jeweled Hammer & Gold barrels. 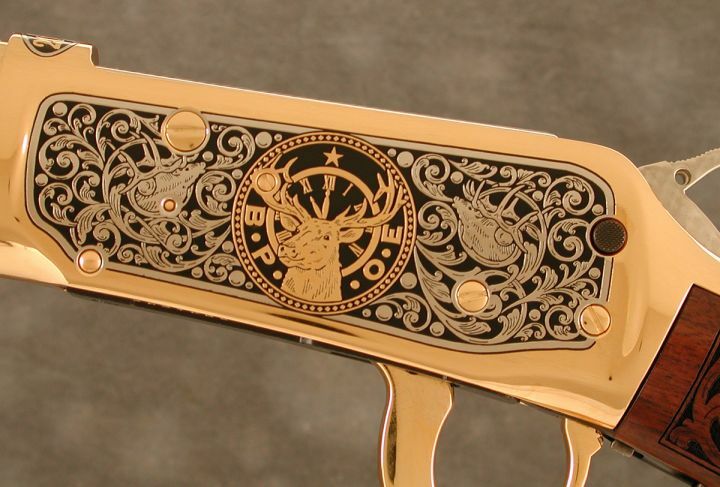 Hand-finished Stocks. 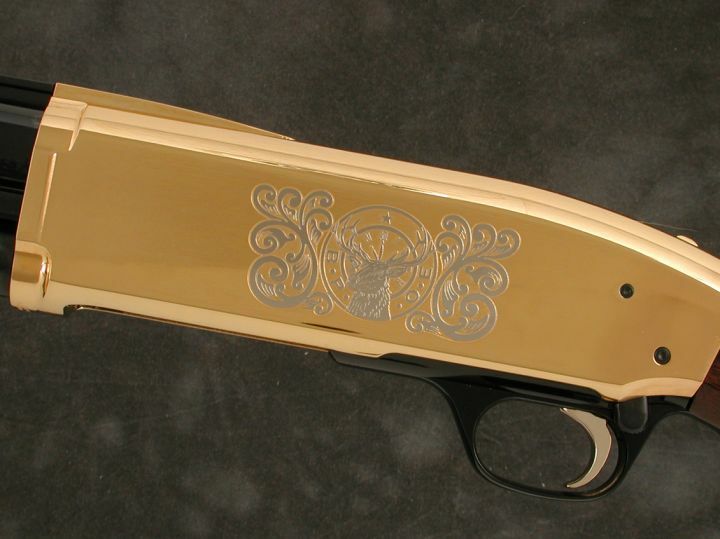 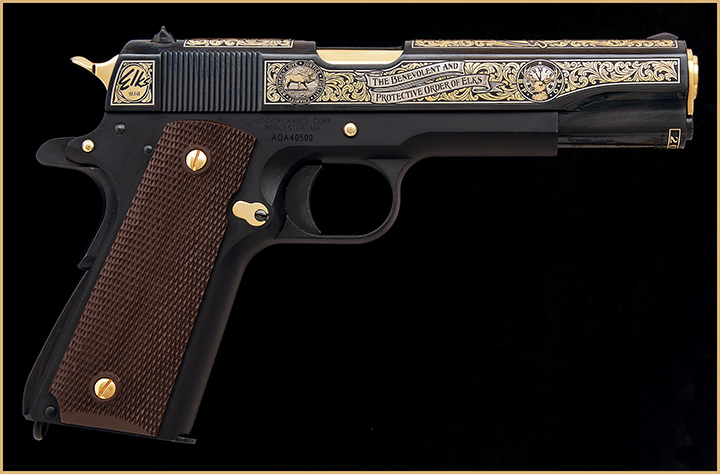 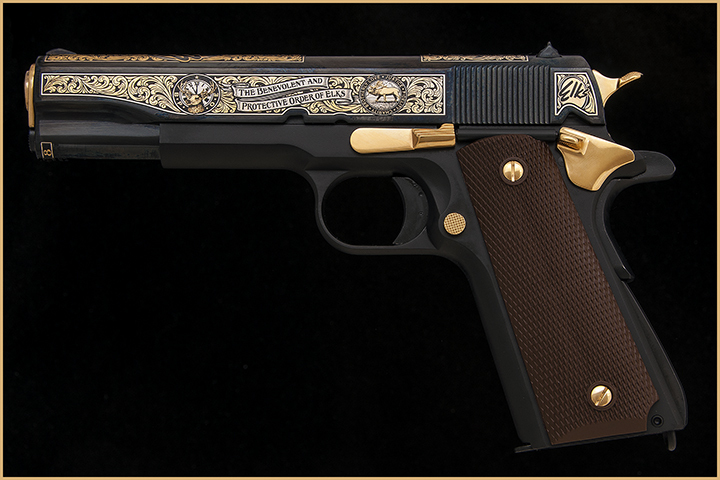 Finish: 24K Gold with bright nickel highlights, blue barrels, hand-finished stocks.